Retrostar is a roleplaying game that faithfully emulates the science fiction TV shows of the 1970s. This is not simply a standard universal system that just happens to be adorned with era-specific artwork. Every aspect, nuance and trope of those wonderfully cheesy old shows is brought to life by the game system. The Lightspeed Adventure Manual (LAM) offers a stripped-down, but fully playable, version of the Retrostar rules! In addition to all the rules needed to play, it contains a ready-to-play series, complete with setting information, pre-generated characters and a full episode to kick off your adventures with! The series is called Rōgun. In this setting, the earth has been ravaged, her resources depleted. Noble warriors defend a mobile, solar-powered fortress, traveling from town to town. These rollerskating Samouri stand against the Warriors of the Night and cybornetic Scroungers. Despite the fact that the LAM contains all the rules you’ll need in order to play Retrostar, it is not the full rulebook. It is a quick-play PDF designed to let new players jump right into the action and, as such, is available for absolutely no cost to you. However, we have made it a “pay what you want” product, with any money paid going toward increasing the production values of the full rulebook and such. 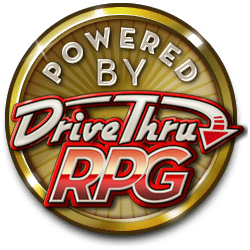 The full rulebook will be made available at DriveThru RPG during the first half of 2015. It will contain all the game rules, character creation system, series creation guidelines, a ton of advice for players and Showrunners alike, numerous series to play, and comprehensive information about the 1970s-era sci-fi TV show genre. Plus, it will feature a foreword by Battlestar Galactica's Richard Hatch!